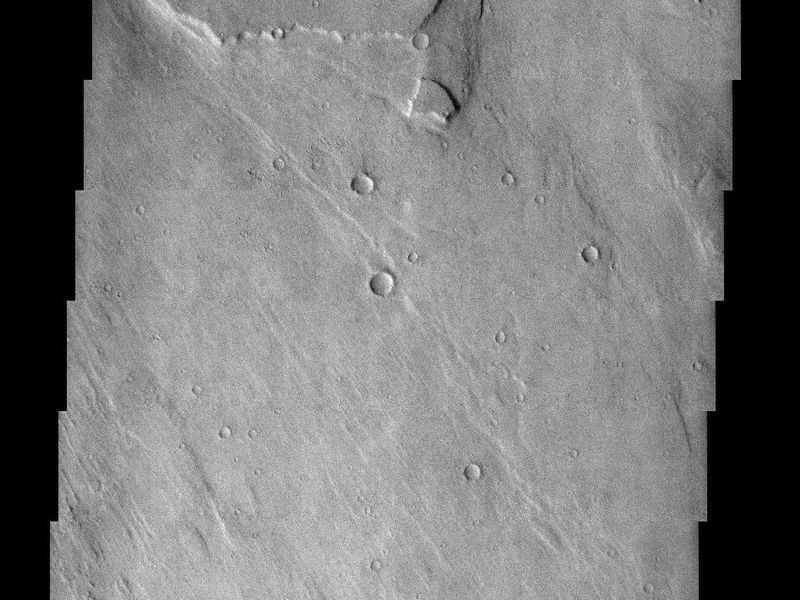 A large outflow channel was split and diverted around an obstacle just north of Memnonia Fossae. 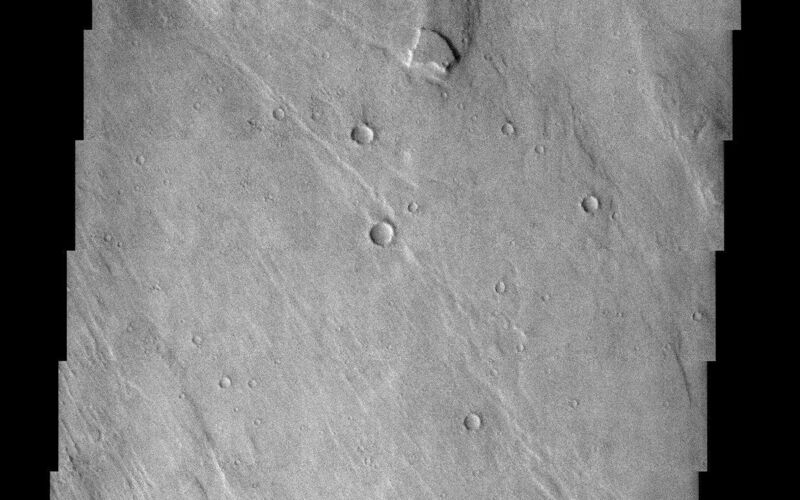 Images released on 11/06/02) and 05/28/03) may be a continuation of this channel and offer additional insight to the ancient flow of water and geologic history of this region. Image information: VIS instrument. Latitude -13.6, Longitude 210.4 East (149.6 West). 19 meter/pixel resolution.